A month ago while I was in New York City, I purchased a first edition of Paul Green and Richard Wright's Native Son: A Play. I also acquired a first edition of The LeRoi Jones/Amiri Baraka Reader (1991) edited by William J. Harris. Years ago while taking a graduate course with Professor Harris at Pennsylvania State University, I got a revised paperback version of the Reader (1999)-- the first Baraka book that I owned. 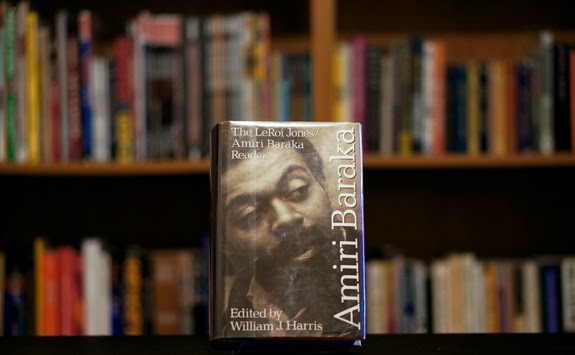 Beginning at Penn State, I've collected several of Baraka's books over the years, including a few pamphlets that he produced. I'm looking forward to writing more about my Baraka books and collecting more. Jerry W. Ward, Jr. was responsible for leading me into the worlds of Richard Wright, and William J. Harris was responsible for leading me into the worlds of Amiri Baraka. As a student at Tougaloo College, I took a course on Richard Wright with Professor Ward, and at Penn State with Professor Harris, I took: 1.) a course on Baraka, Ishmael Reed, and August Wilson; 2.) a course on the Black Arts Movement and; 3.) a course on free jazz, which culminated with a concert and symposium featuring a performance and lecture by Baraka.